Tangla Hotel Beijing overlooking Beijing's popular Chang'an Street, Tangla Hotel Beijing is close to adjacent to the Central Government Offices, Financial Street, shopping centres and numerous historical sites. just a ten-minute drive from both Tian'anmen Square and Xidan commercial area. 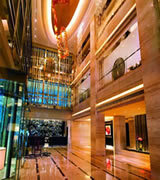 Tangla Hotel Beijing offers 380 guestrooms. Rooms feature city, courtyard, or garden views. All hotel's guestrooms have all the conveniences expected in a hotel in its class to suit guests' utmost comforts. Room amenities include non smoking rooms, air conditioning, bathrobes, desk, hair dryer. Hotel facilities offered at this Beijing accommodation include 24hr room service, executive floor, elevator, bar/pub, laundry service/dry cleaning. In addition, the hotel's guests can enjoy the leisure and sports facilities provided on the premises: massage, indoor pool , gym, sauna, spa. 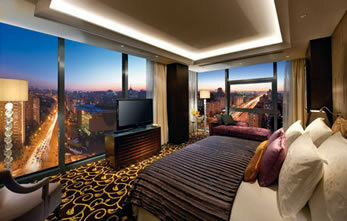 Along with its convenient location in Beijing, the hotel also offers a wide range of services and facilities to the guests. At the on-site restaurants, guests of this Beijing hotel can choose from Chinese, Japanese, European and Australian cuisines. In terms of relaxation, guests can take a refreshing spa and swim, or make full use of other fitness facilities. Equipped with deluxe facilities, the professional and friendly Tangla team will serve you with the essence of Tangla Hospitality ensuring you enjoy a home away from home. 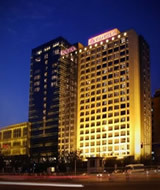 © Copyright ©2009-2017 WWW.TANLAHOTELBEIJING.COM. All Rights Reserved.